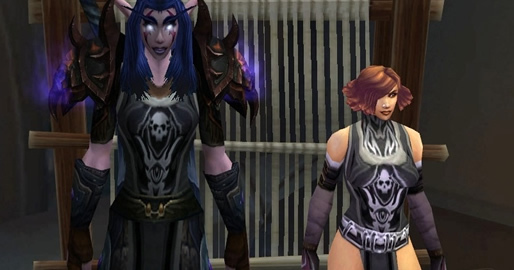 Tabard of the Void is one of the 7 epic tabards that was originally available through the UDE Points Program, which has since gone the way of the Dodo Bird. Tabard of the Void is probably the second most popular WoW TCG Tabard - just behind the Tabard of Frost. This is likely due to it being black, which goes incredibly well with all sorts of Transmog gear. ...And it just looks badass. Tabard of the Void counts towards the Twenty-Five Tabards achievement. If you find an unused loot code for a Tabard of the Void, it's probably going to sell for over $150, and possibly even closer to $250. These loot codes are quite rare and highly sought after by WoW players (with money to burn).